WARNING! Before jumping into the different strategies to create and promote your own products & programmes – it’s CRITICAL that you read this entire introduction first! But as we all know, creating your products is only one of the first steps. When I asked what is the biggest challenge you have when creating your own online programmes the overwhelming majority of entrepreneurs and business owners said you needed help with how to create and price your online programmes and products; getting more people to view your content and actually having that content help you get more traffic, leads and sales for your online business. Hello and welcome. It’s Leon Streete here. Today I’m about to bring you some real hustle muscle. Here’s the thing, guys, if you’re a business owner, a coach, a consultant, I’m speaking to you right now because I’m about to go into a topic that is absolutely crucial to the success of your business if you want to leverage yourself online with your products and services, and in particular, I want to speak about 2 key areas. These areas are going to massively increase the success of what you do online, not only just to generate leads, more to generate sales. That’s what we’re in this for. If you want a commercial profitable organization that works without you, you’ve got to start with these 2 key things because these things will form the basic foundation of your business when it comes to sales and marketing. I also recommend you DOWNLOAD my Lead Generation Handbook complete with a tips and a 10 Step Checklist to help you really maximize the effectiveness of your online marketing strategy and get more leads online into your business! Let me tell you what they are. First of all, we have on the right the elevation stairway, and on the left, we have sales funnels. I’m not talking about boxing or anything in corners, but actually these 2 powerhouses being in your corners in your ring are actually going to do the damage for you in a positive way. Let’s begin. Here’s why these two fundamentals are so crucial to your online success. 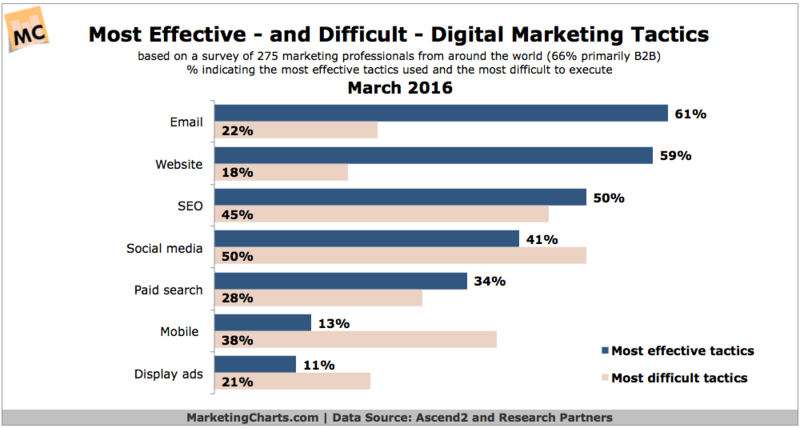 The graph below shows you the most effective online strategies based on a survey of 275 marketing professionals world-wide. Notice the top 2! Both are key components to what I will share with you in this blog. Fancy skipping the reading and want to watch the video instead? Most of us, when we’re trying to position ourselves online, tend to think about what services or what products do we have to give our customers. One of the key thoughts of entrepreneurs I come across is that we tend to think about what’s our top product, what’s the thing that we want to get out there and make people aware of. If you’re not so confident, you might have the reverse of that, which is let’s start small because we don’t want people to think we’re pushy or we’re too big for your boots. Here’s the thing, what you need is a mix of both of those, and all the stuff in between. What I’m going to do is break this down for you. I have a trusty sheet with me just to show you I’ve prepared this for you. 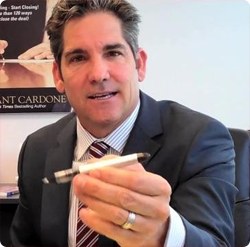 This sheet is going to guide me so I can guide you into what I want to teach you today, especially when we get to the elevation stairway, and then when we transition from this to sales funnels. This is where we begin. First of all, let’s imagine you have a business and you want to position yourself as an authority. 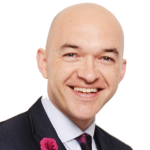 Lets say you have a top product, maybe it’s a coaching product, maybe it’s a top tier service that you offer, whether it’s one to one coaching, whether it’s group coaching or consultancy, you need to be able to get out there and position yourself, especially if you’re new or maybe you’re established, but you haven’t quite broken into your market so people don’t really know of you. Now you need to create something called a Lead Magnet. 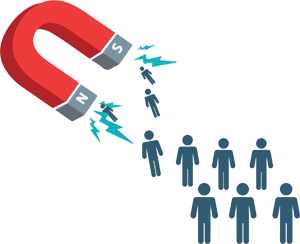 It is what it says on the tin, a lead magnet is something that attracts a lead in, somebody who you can go out to and possibly sell them something, but it attracts them in a way, almost magnetized to what you have to offer. I’m going to go into more details about what a lead magnet is. Have you ever been on a website where somebody has offered, “Get the free e-book,” or, ‘Get this free cheat sheet. 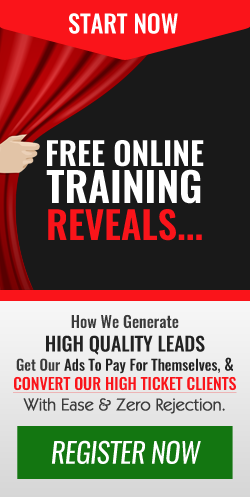 Get this free video training.” Generally, when somebody puts something out there and they say, “This is free,” that’s the point where they’re trying to attract you in and trying to really grab you with what they have to offer in their lead magnet as valuable content. how to actually structure your sales scripts so that you close people better. These are some of the things that I’ve come across. There are other topics that could be explored like how to set up your own membership sites and how to get more people onto your high ticket programme – but they’re given away for free. Some of them can be videos, and they can ultimately be PDFs. You could actually have an audio book or maybe just audio recordings. Here’s another great example. Maybe you’ve done something like a sales call or a telephone call, or maybe you just had a conversation with a business partner, maybe a colleague, a client, and actually with just really good content that you can put out there and share with people because it has a valuable lesson to offer. Now, you put it out there, promote, put it onto a webpage. 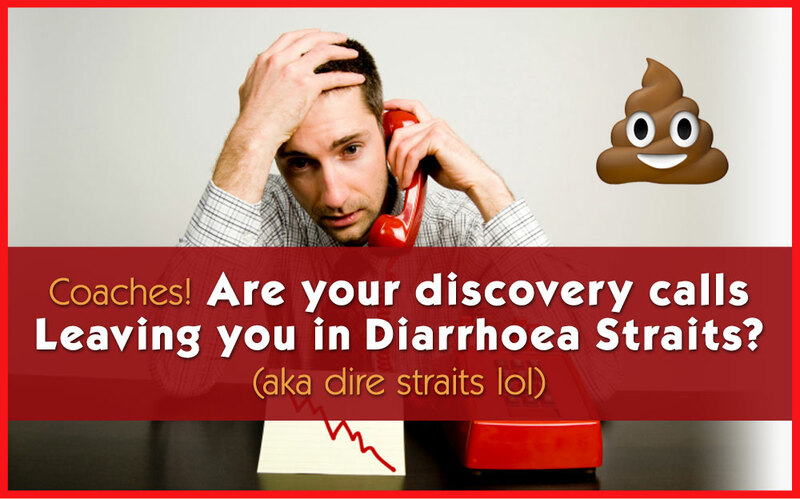 On the webpage you have the normal things you would expect on a lead magnet page. It would have an email field etc, so people give you their details including name, and once they fill in their info, they’re able to get access to the free stuff, whatever value you’re putting out. Here’s the cool thing about lead magnets, lead magnets are valuable because they solve a problem or serve a need. There’s no point in putting something together that has no use for anybody, so here’s an example, maybe you put together a diagram, but it actually doesn’t give people any solution, it’s just a diagram, there’s no context behind it. 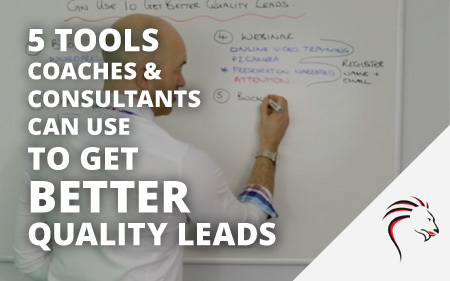 When you put a lead magnet together, you’ve got to be clear that it actually solves a problem or serves a need for your customers, and that’s the whole point of step one with lead magnets. Here’s the other advantage, when you’re solving a problem and serving a need, people look at you as an authority figure because you have brought the goods. You are the expert. This is what we psychologically think in our subconscious without verbalizing it, and that’s what the lead magnet will allow you to do. That’s step one. What we need to do is move into the next step in the elevation stairway, so here we are. Number two is our trip wire. Its at this point, where somebody has downloaded your lead magnet. So these names are the sequences of web pages that I spoke about where somebody gives you first of all, name and email, now we need to offer them a trip wire. What do I mean by a trip wire? We need to give them something to actually fall over. Meaning – We need them to be in a position so that we can segment people. A trip wire gives you the ultimate segmentation. It allows you to find out who the buyers are. 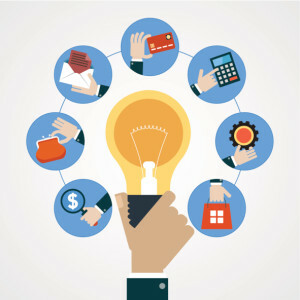 A trip wire, is all about offering a low priced product and it could even be a service, but generally, it could just be a low price digital product because it gives you leverage where as if it’s a service, you have to deliver that and maybe there’s some resource around that (trading time for money), whereas if you deliver a product, it could be a more in depth eBook, could be like 30 pages or so, but it’s got that real juicy content that’s isn’t a one-page cheat sheet, it takes people to that next level. With the trip wire, they’re probably going to pay you something like 5 to 10, I’m just going to put a couple of currency signals here, we’ve got £ pounds or $ dollars. Here, somebody has chosen to download your PDF lead magnet, video or audio, and then on the thank you page, you then put your core offer. 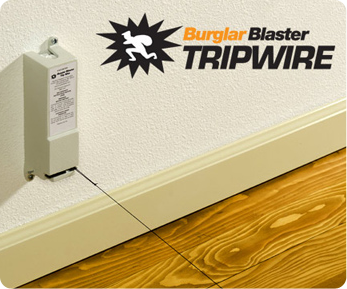 The core offer is this trip wire, your low priced product. The whole point in this is that you’re segmenting people. 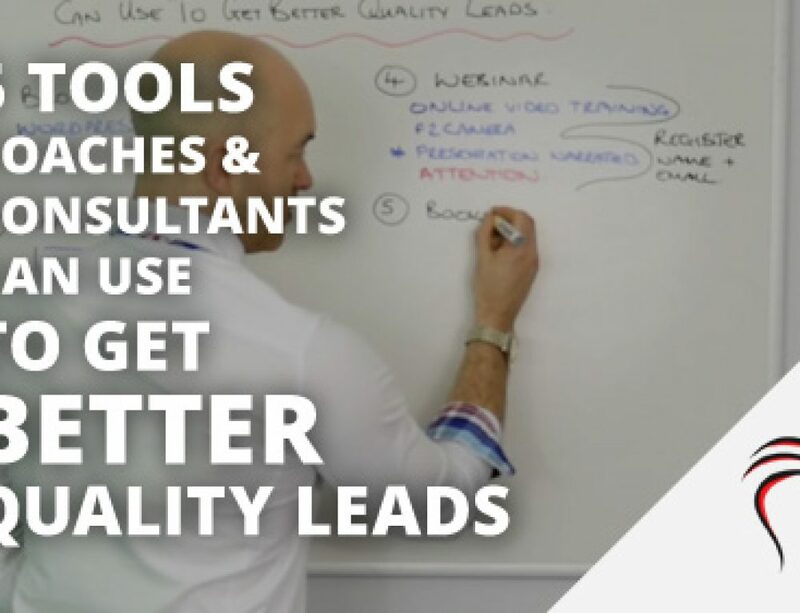 Rather than just getting people to join your email list which is what lead magnets are all about, you’re actually getting to the point where you know who are the buyers in my list. How many buyers do I have as a percentage in my list, why is this important? you’re probably asking. Imagine you have a list of a hundred people. They’ve all joined because they wanted to get your lead magnet, but you have no idea how many out of them are actually in a position where they want to buy stuff. It’s no use to you. 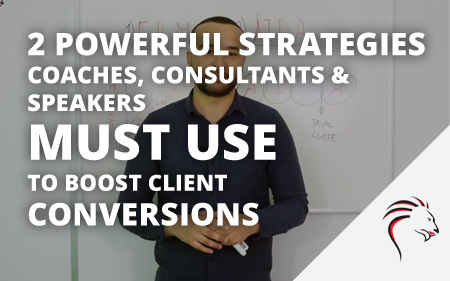 Whereas if you have a hundred people in your list and you know that actually 30% have bought, have a guess who you can target with more focus the next time you have an offer. Yes, you can go after all of them, but maybe you’ve got a special message for that segmented group of people who’ve actually invested in what you have, and that’s the real power and going through this process of setting up your trip wire when it comes to your elevation stairway. It’s really important. At this point where you’ve got people to trip, and so effectively you have this offer and they can type their credit card details in or maybe pay with PayPal or Stripe, whichever payment processor you’re using, you’re getting them to get their debit or credit card out and buy from you. Absolutely essential. What I want to tell you about is step 3. In your elevation stairway, step 3 is all about webinars. Let me tell you what a webinar is and what a webinar isn’t. A webinar is basically a free piece of live training, or a pre-recorded piece of live training. Generally it’s a video, and the video can be ace to camera, where it’s just me or you just talking to your audience about whatever the solution is to their problem, or whatever it is you want to teach them about. An example would be, I could teach you in depth sales funnels, I could teach you in depth elevation stairway and break down these steps here what I’m taking you through so that you get more understanding. Maybe as part of going face to camera, then switch to screen narration where I have a presentation, maybe Power Point on screen and it’s me just talking about whatever it is I’m training today. Whether it’s either of these or whether it’s how to get more leads online, these would work for me. What you’ve got to think about is what is it that you could teach your audience in a webinar. The cool thing about this is a webinar is generally around about 1 hour in length. 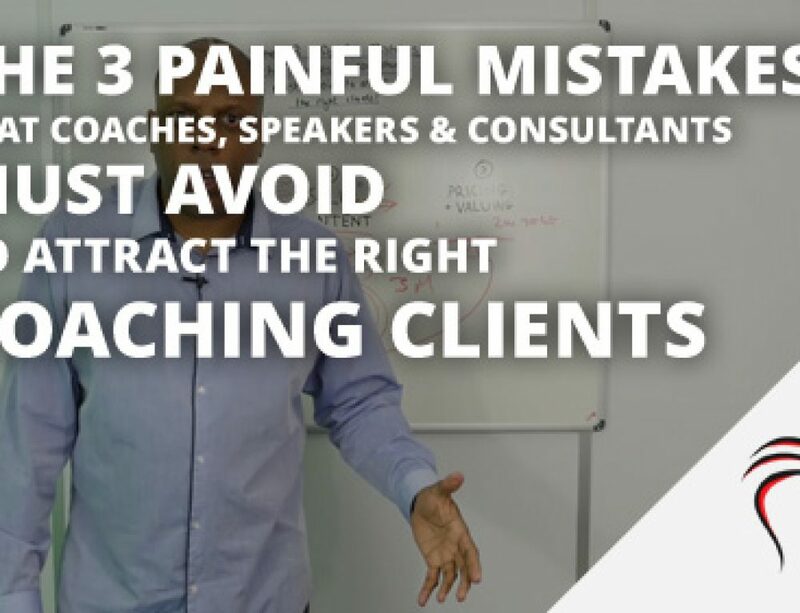 It can be longer, it can be shorter, but generally, if you have your webinar, which I’ll make sure here you’ll see, it’s all about training. I’m going to make sure I underline this here. Training. [Dont do this] There is no rapport built. There is no trust built. All you’re doing is pushing either your product or service, there is nothing there. There is nothing for people to believe in, there’s nothing for them to take away. There’s nothing that they can implement because all you’re doing is selling. The key here, which is why I’ve underlined it, is training, actually give your best stuff away to people. You’re thinking, my best stuff, are you crazy Leon? I may just be crazy. Here’s the thing, I’ve created this blog right now, taken the best part of 3 days work and I’m teaching you, there is no cost to you. It is totally free. It’s the same principle when you do a webinar. You’re putting something together that people can take away, they can implement, and yes, it’s your best stuff, but generally, it’s where you go one inch wide and one mile deep. You take people into core depths of your knowledge where they can implement, so yes there may be lots of things that you understand, you know about your industry, your expertise, whatever it is that you do. Whether you are a coach, consultant, network marketer, it’s all about taking people on that journey so they can take something away. The key thing about your webinar is that you control the content. You control the structure and what is presented. Here’s an important part, let’s say you have a 60 minute webinar. You’re delivering training (not fluff), but here’s the important part, for let’s say 10 minutes right at the end, going over the hour mark, you then start to position a call to action and the webinar is an absolute gem when it is in your elevation stairway. With a webinar, what you can do is start to position whatever offer it is. 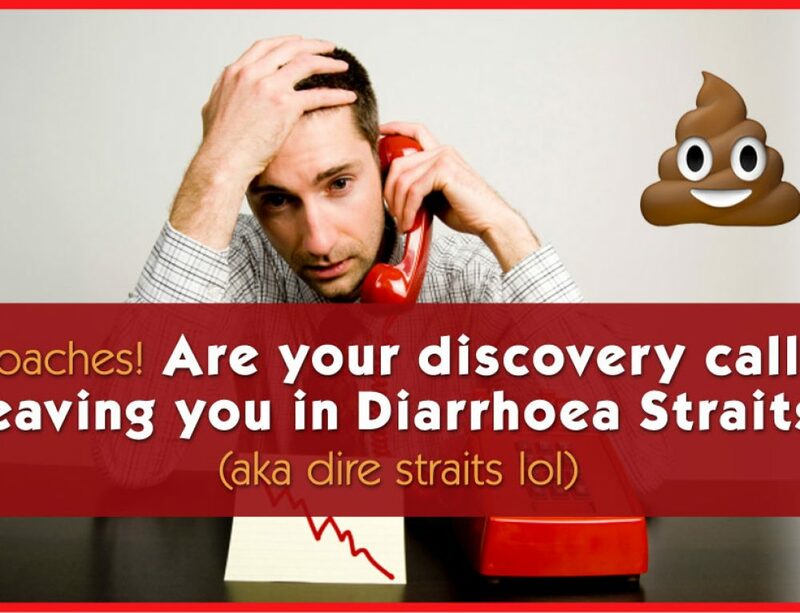 Maybe you want to push people to a strategy call where they go to a specific link and they can book themselves in for a telephone call with you and on that telephone call, once you understand there needs you can present your core offerings. Generally it might be, and quite potentially, is going to be a high ticket product which we’ll talk about shortly. Or it could simply be you’re pushing people to go and buy a product online, maybe you’ve got the link on screen. At this point, you will see that the proportion of your webinar training compared to what you’re offering is actually in proportion [6:1]. People don’t think actually I was just sold to, they’ll think, “F*ck me, they gave so much content and they pushed me in the direction of where I can go and get more of that content,” whether it was paid for or whether it was something that they’re booking themselves in for free. A webinar is your friend, but stick to this rule here. There are no rules, you could actually go 1 hour, 2 hours, 3 hours, but here’s the key thing, it needs to be exciting, tonality. You’ve got to gt all of this across and your presentation really must add value to the lives of the people that you are offering this to. 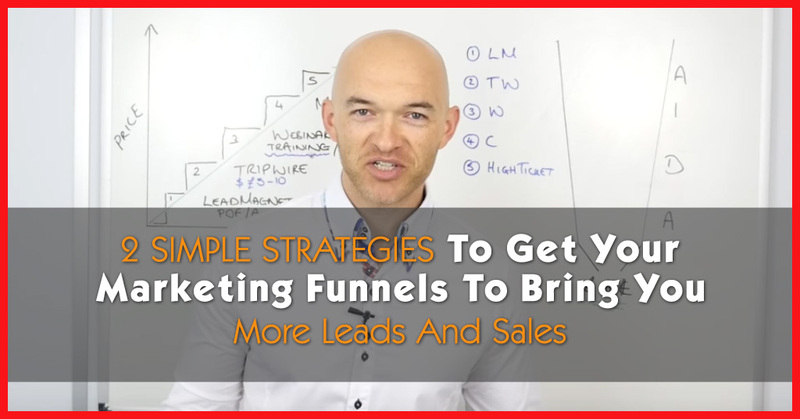 Again, with the webinar, great at building your email list, just like the lead magnet funnel. For me, it’s something I recommend you should definitely put in place. Here’s the final piece of the webinar, with a webinar, once you’ve recorded it live and you’ve gone through the process of delivering content, you’ve got people interacting, questions, you’ve got a video. What can you do with video? You can use it again, re-purpose the video, and you can end up with a replay webinar, so this can go out on autopilot for you. How about that guys? You create the video and then it works for you time and time again, goes out on autopilot, so these people have opted into your list. There may be some of them who haven’t turned up for the webinar, not everybody shows up, so have a guess at what you can do. Send out emails and get them back to it. 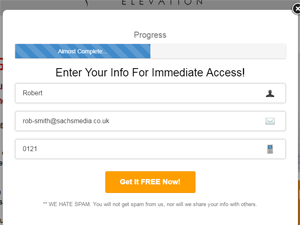 Webinars, another great strategy in your toolbox of the elevation stairway. Now we’re going to move into step 4, continuity or membership funnels. Membership is all about creating a place for your community to go to, so being part of a membership. It could be a membership website, it could be something like a Facebook group, or even like a LinkedIn group. The primary would be to push people to a paid membership site that you control. Because what you don’t want, if you’ve got a group maybe on Facebook or even on LinkedIn, if they pull the plug on groups or change settings or whatever, you lose control. With continuity, it’s all about pulling people into a place that you control but they’re paying to have access. It could be a monthly membership site, it could be a yearly site, annually. It might even be that if they pay annually, they get a discount, but you get more of the payment up front which is a great thing because it’s better cash flow for you and your business. Going into membership, the key thing here is that when people have gone through the steps 1, 2, and 3, they’re paying customers, you segmented people, actually you’ve got them in a place where they come back to you time and time again, actually you’re pulling on people who believe and trust in your brand. Why is this so important? Let’s think about Facebook for instance, their biggest commodity is the people, the user base, the community. No it’s not paid for, but there is a segment of that audience, that membership who do actually pay. Do you know who it is? It’s the advertisers. The 50 million businesses that advertise on Facebook, are actually their paid membership, but they also double up as the audience who join for me. 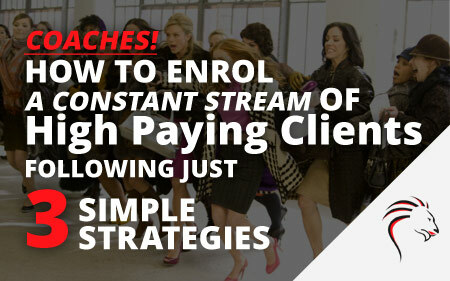 This is really crucial to your business because it’s another place for you to leverage. Make sure that you’ve got membership in your funnel when its part of your strategy. Upsell them to other products in your membership site. Let’s move forward, the final one in this sequence that I want to talk about guys, number 5, this is high ticket. What is high ticket? High ticket can be anything from a $1,000 a thousand £ / $ or more. 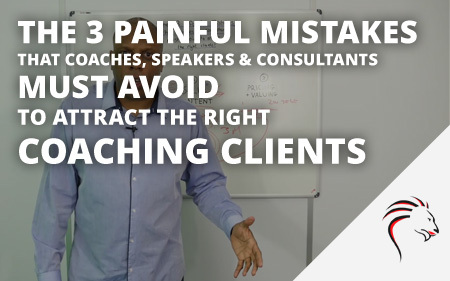 Maybe you have a coaching program, could be group, it could be one to one, it could be some kind of consultancy service, whatever it is that you have is high ticket. The thing with high ticket is that this is your centerpiece product that people can get from you. It’s all about pushing people to this step. What we could have done is maybe you’re new to the market or established like I said, but you haven’t really set the foundations, and you’re trying to go from ground zero, to step 5 without establishing any rapport, without establishing any way for people to future project what they can have of yours in terms of products and services. But right now for him, no concept. What I can say to him is that, whilst you’re at primary school, the next step in the sequence, which for him, is high school – he starts to future project himself at high school, when he’s at high school, he can then future project himself doing A levels and further education. Once he’s in that position, he can now start to think about what he wants to do at university. Do you see where I’m going? Give your customers a path to follow and buy from. I can give you another example. Think about Apple. In their product offering, you can start down here by getting an iPod. Then maybe they step you up to an iPhone. From an iPhone, maybe you just want to get a bigger device, so you go and get an iPad. Each step, not only am I stepping you up in a different type of product, a different offering, but also in value. You can see there is perceived value and value in the actual content that is given. Then there’s also price. 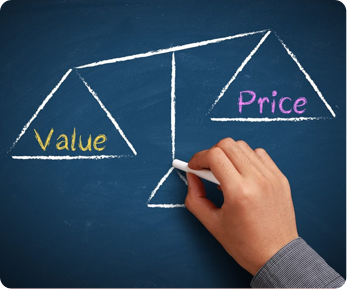 Actually the value of your products and price is going up, and this is at a real important part. Ultimately, as you step up to the higher prices, the higher ticket products, you’re probably talking about iMacs, Mac Book Pros, all that kind of stuff. High ticket! Note; When you get to high ticket, you can’t necessarily always sell online. There is a part where you need to break this down so that people actually speak to you on the phone because it’s important that you change the environment, because here, you need to establish real rapport. You need to understand really what their pains are. If you haven’t watched one of the videos before that Phil and Robert recorded, you need to go and check it out. It’s all about how you handle high ticket product sales and services objections. Go and watch that video. Back to my point, when you get to high ticket, it is all about changing the environment. Having the confidence to be able to pick up the phone when people have booked themselves in. Here it is, the elevation stairway. It’s something that the big players use. It’s something that you can use. Think about McDonald’s, you go in there, you say you want a cheeseburger or you want, I don’t know what they call it now, you want a meal, and then they say, “Do you want to go large?” This is them having a bump in there where they can give you something to increase the average sale. Maybe they then offer you something else. Maybe you want a milkshake, and then as you go through it, you’re now probably more of a committed customer and you go back again for the second time. This time when you go back there, you go with your family and so you’re not only buying yourself a meal, you’re buying meals for everybody who’s with you at the time, high ticket. Not as high as what you and I would like to be selling online, but you get the idea. That’s the whole point.  Promote Your Lead Magnet from step 1 on all of your channels (Facebook etc). 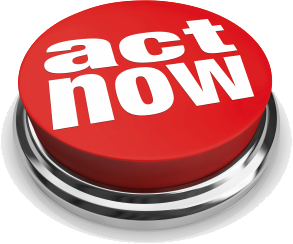 WITH ONE SLIGHT FOCUS On your Lead Magnet thank you page, offer your leads a FREE Strategy call. 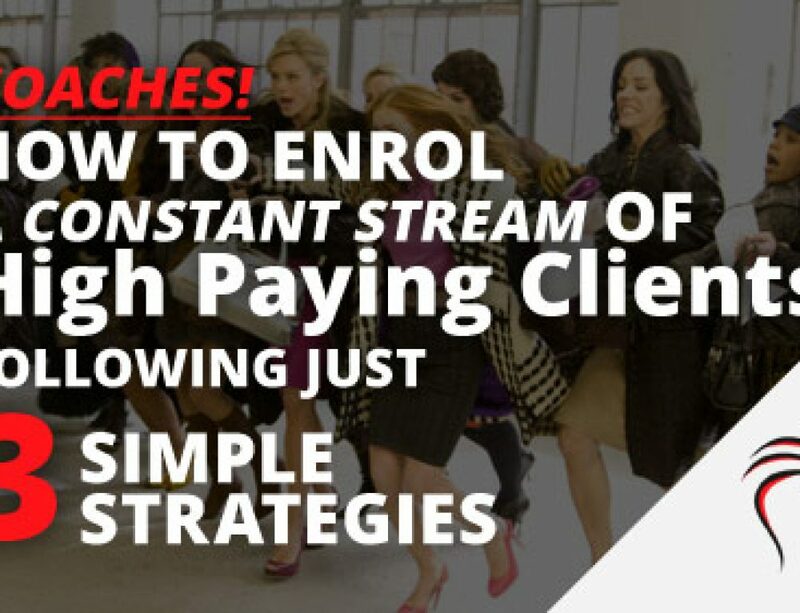 On this call you help them to strategise with your assistance a plan that solves their biggest challenge – That your High Ticket Programme covers. On your call this is where you qualify and begin the sales closing process, where two individuals walk a path of mutual agreement. How does this all fit together? How do you use this to actually pull people in and actually get that sale going? What normally happens is you’re marketing your business out on Facebook, Ad Words, could be Instagram, could be Twitter, all those things. 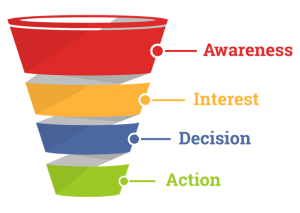 You’re driving people here through your funnel, so that you can do a number of things. You want to grab people’s attention. You want to spark interest. You want to get them in a place of desire, and you want to get ultimately, action. Let’s map the sales funnels, pulling people in at the top so we get them down, it narrows out at the bottom where you actually create sales, pounds, dollars, euros. Let’s now link the 2 together. Step1, we get people coming out of the top, free stuff, lead magnets. This is where you really grab people. Trip wires, in the trip wire, this is something where we’re going to pull them in here. You can see that first we’ve got one is lead magnets, step 2 is trip wires, then we’ve got webinar training step 3. Pulling people further into the sequence. Let’s see if we can do a nice line here. Here we go. You following so far? Lead magnets, trip wires, webinars, then we pull people in from McDonald’s, bringing all their family in and we’re into step 4 where we’ve got our membership site where people are loyal to what we do, and if you are, for instance, say you go to Costa, something like that, Starbucks, and you’ve got your loyalty card, so people are going to come back. Then ultimately you take them from here where you’ve got high ticket sales, step 5. Pumping them right out of the bottom of the sales funnel. Here’s an important part guys, I know you’re going to be able to follow it through. You need to show people your product offering, that right from free through to your high ticket, but to really understand the psychology of how people buy. 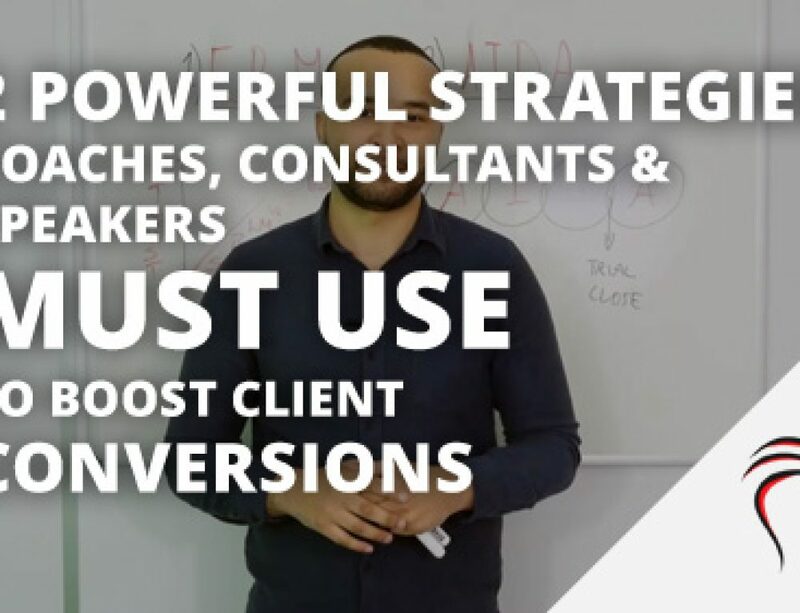 You need to focus your sales funnels, so that as you’re marketing, you understand that it’s all about stepping people through your sales funnel so that you can get to this part here, where they actually buy from you. Ultimately, you’re able to get them to take that action. This is the key in terms of your business being a success. You can’t jump from free or no free to high ticket without establishing authority. Your products establish the trust, the likability and authority in the people who buy from you. As they decide to buy more, obviously that will compound the effect to the point where you then move beyond high ticket products into probably private retreats, and getting ultra high in terms of probably 10, 20, 30, 50,000 £$ worth of stuff that you can give to people and present to them. 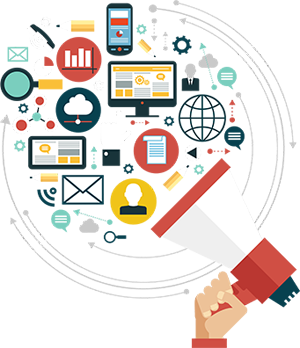 We have the elevation stairway, all about presenting your products from low, free, all the way up to high, and then we have the sales funnel which is all about how you get people through from your marketing to actually a buying place, a buying decision. These are the keys to you moving people through your online path and buying from you. 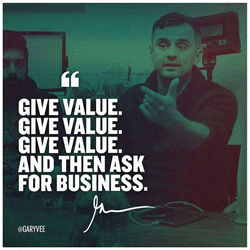 Share this post if you liked it and got value from it! Leave a comment below and let me know what you got out of this guide, if there’s anything I didn’t cover that you need help with and what tools or tactics you’re using to promote your products and content. Fancy Watching this instead of reading, play the video below.